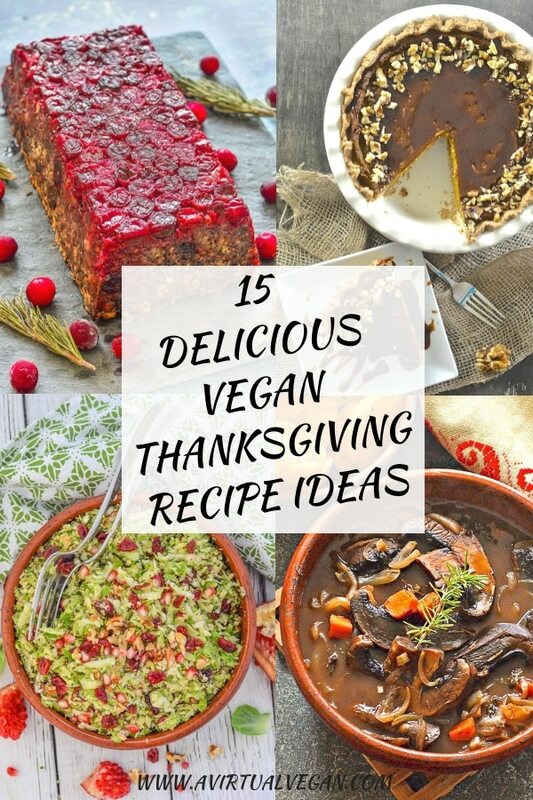 15 tasty recipe ideas for making your vegan Thanksgiving table totally fabulous, whether you are hosting a large gathering, chillaxing at home, or need to take something super yum to a pot luck. I’ve been so busy working on my cookbook that I totally forgot that it’s Thanksgiving here in Canada in less than two weeks. As usual I am totally disorganized, but I do have my Vegan Thanksgiving Dinner Menu & Shopping List from last year if I get stuck. It includes an entire and downloadable menu, timeline and shopping list so makes it all super easy. I envy you guys in the U.S who have a lot more time to prep for the holidays. Our Thanksgiving always comes around far too quickly almost as soon as summer is over. I’ve been browsing through my recipes looking for inspiration and thought that a collection of Thanksgiving suitable recipes might be useful for me, and for you, so here it is. 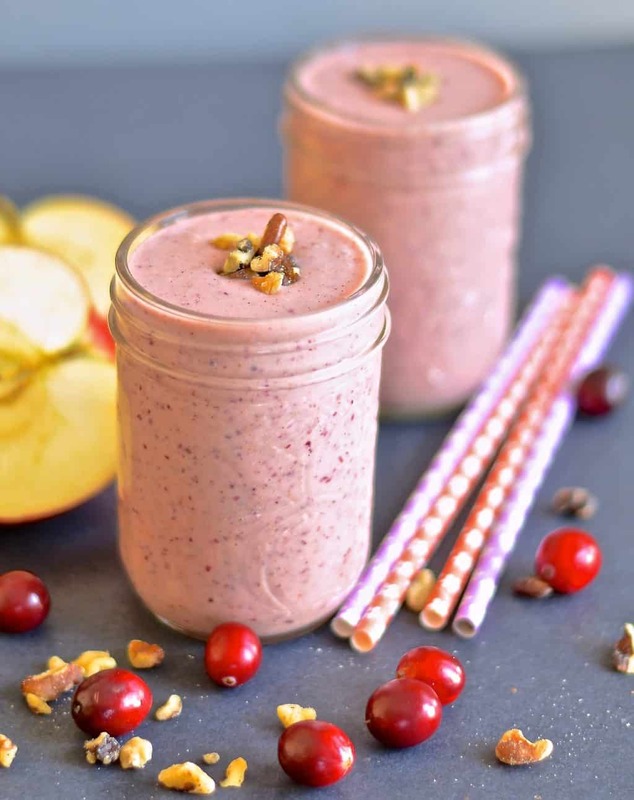 It will help you make your Thanksgiving table totally fabulous, whether you are hosting a large gathering, chillaxing at home, or need to take something super yum to a pot luck. 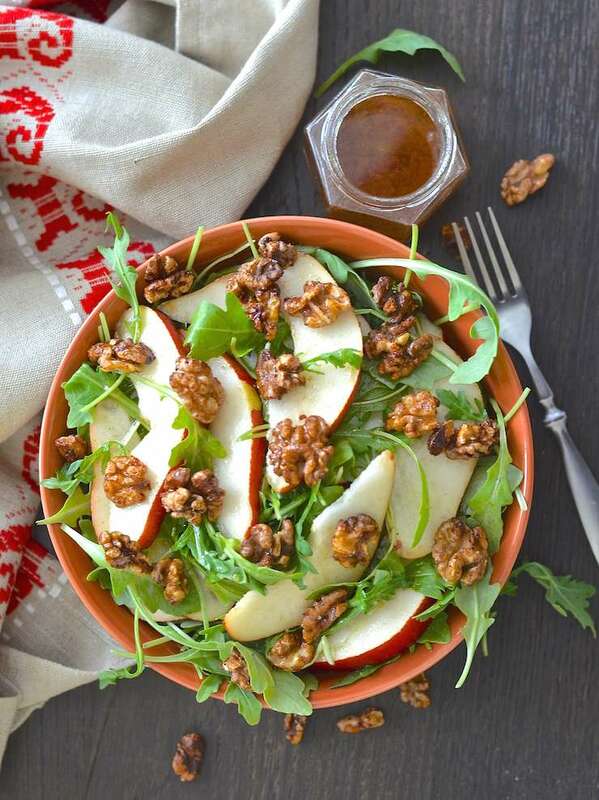 A fall inspired simple salad with arugula, juicy pears, toasty walnuts and a lovely maple cinnamon vinaigrette. This meatloaf is really popular year after year. It’s easy to make and so good when smothered in the thick, rich gravy! 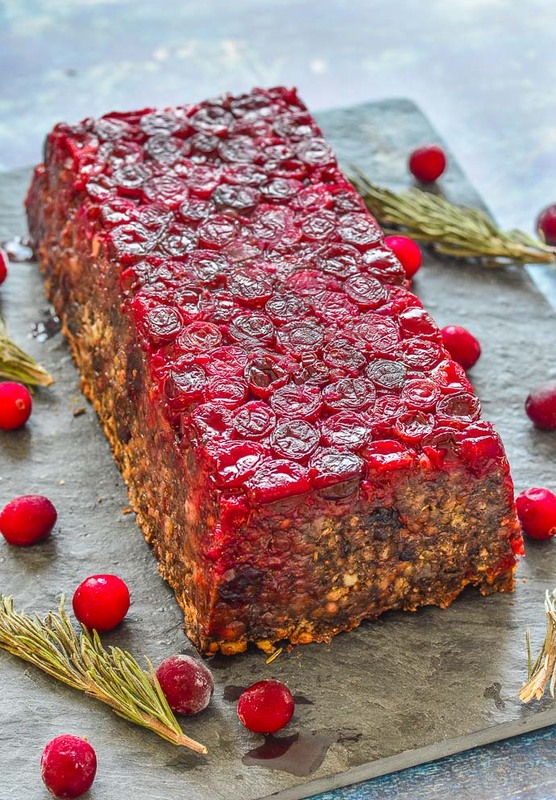 A really tasty loaf made with a blend of lentils, mushrooms and walnuts and topped with a beautifully festive cranberry topping. Those pops of juicy cranberry in every bite are so good, plus they make it look pretty impressive. It would make a great centerpiece on your holiday table! 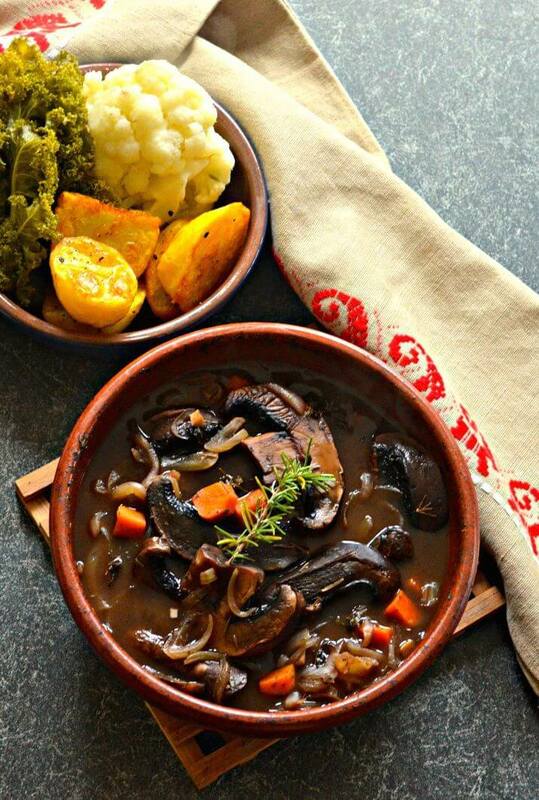 Who says vegans can’t have a Pot Roast? This one’s got all kinds of good things going on! ???? Tender, juicy, meaty portobello mushroom, stuffed with sweet caramelized onions, a sprinkling of thyme, all topped with buttery, crisp pastry. 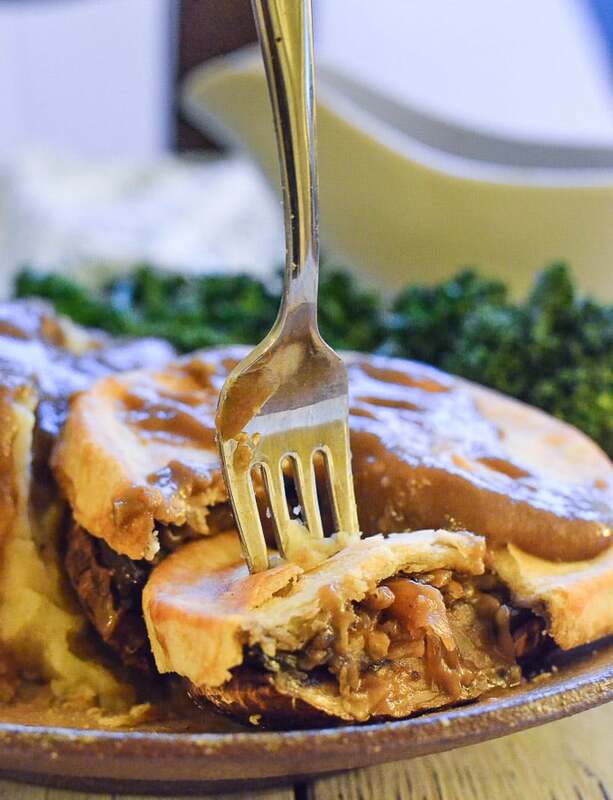 They are the easiest Vegan Mushroom Pies to make EVER and you can even make them in advance! 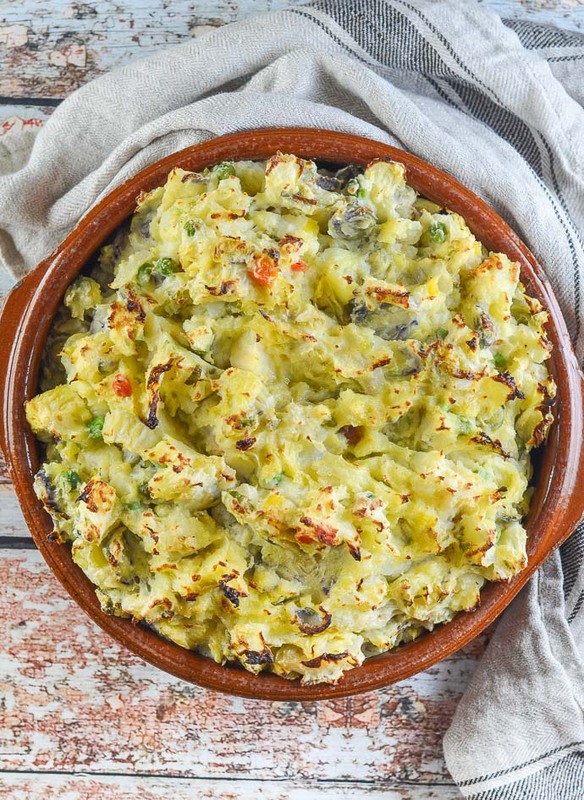 Oven baked Bubble & Squeak. Cook it from scratch as a side, or make it with leftover veggies the next day! 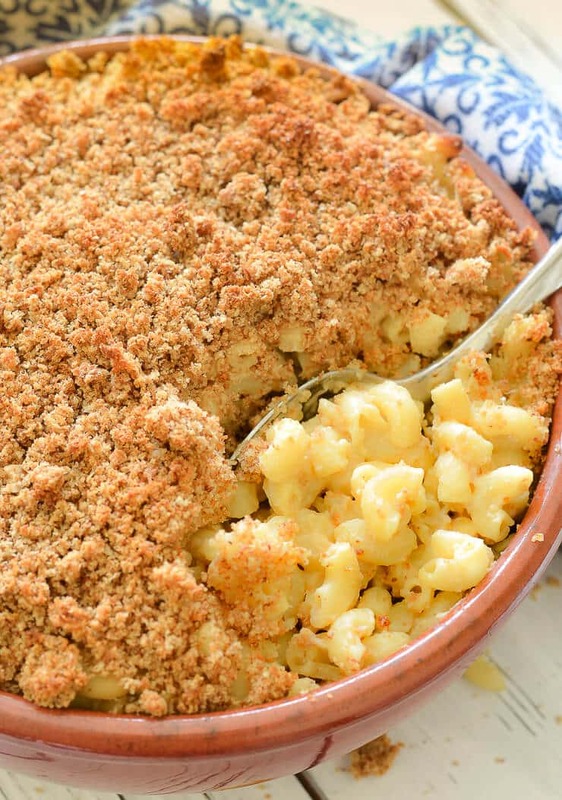 The perfect vegan Mac and Cheese. 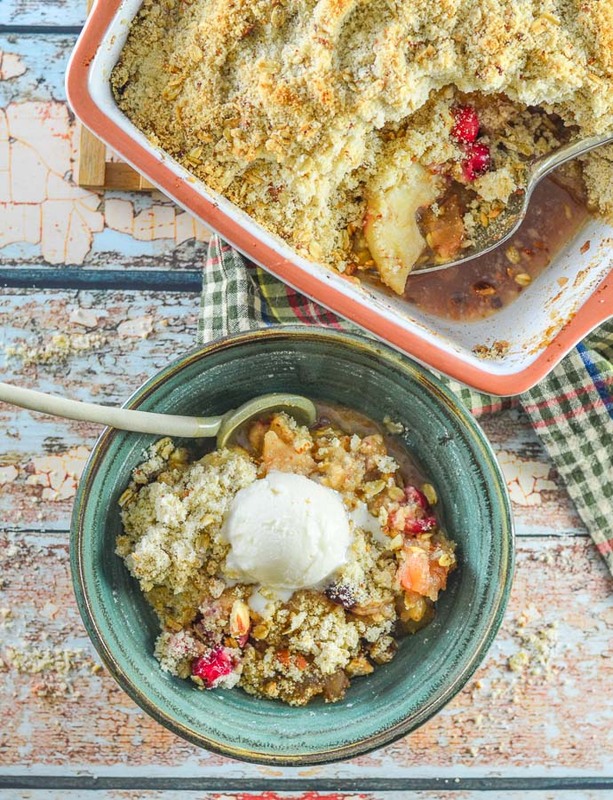 Everyone will love it as a side and it can be made ahead a few days in advance to save you time on the day. 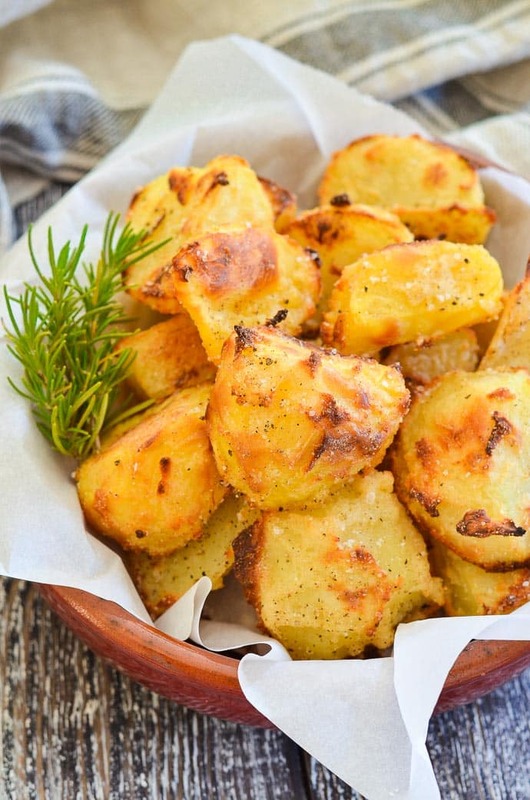 It’s not Thanksgiving without Crispy Roasted Potatoes! This is an incredibly popular recipe on my blog because they contain no oil but taste just as good as the regular oily version! 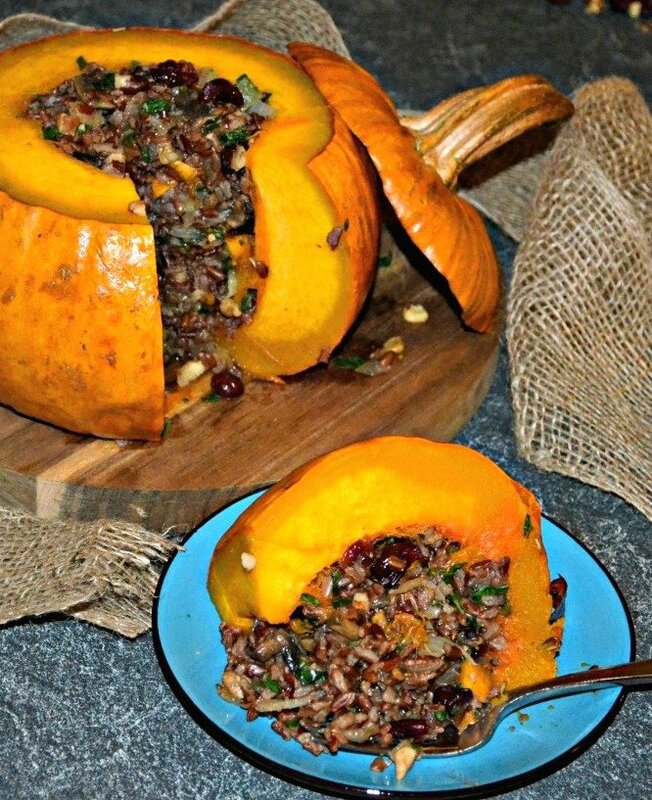 A whole pumpkin stuffed with deliciousness and baked in the oven. It makes an amazing centerpiece! What’s a dinner table without some good bread? This No Knead Focaccia takes minutes to make and can be prepped the night before. It will do all the work itself while you sleep! 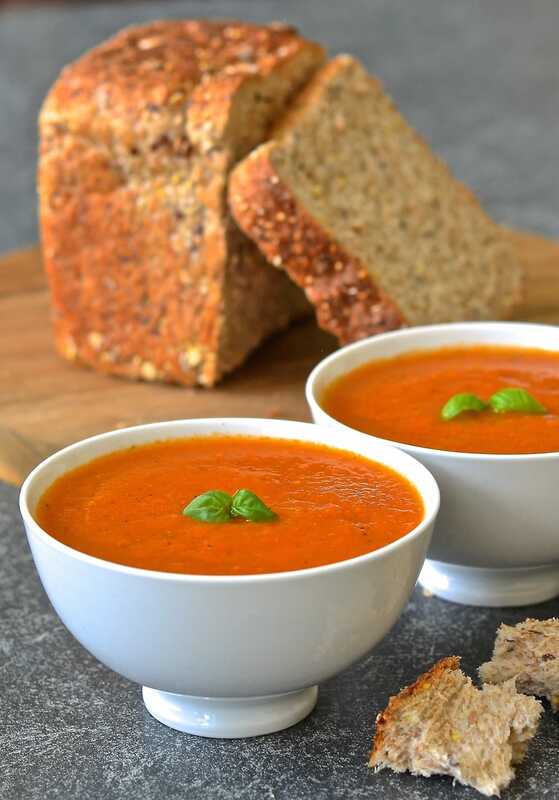 This soup takes all of 10 minutes to make and can be made well in advance. 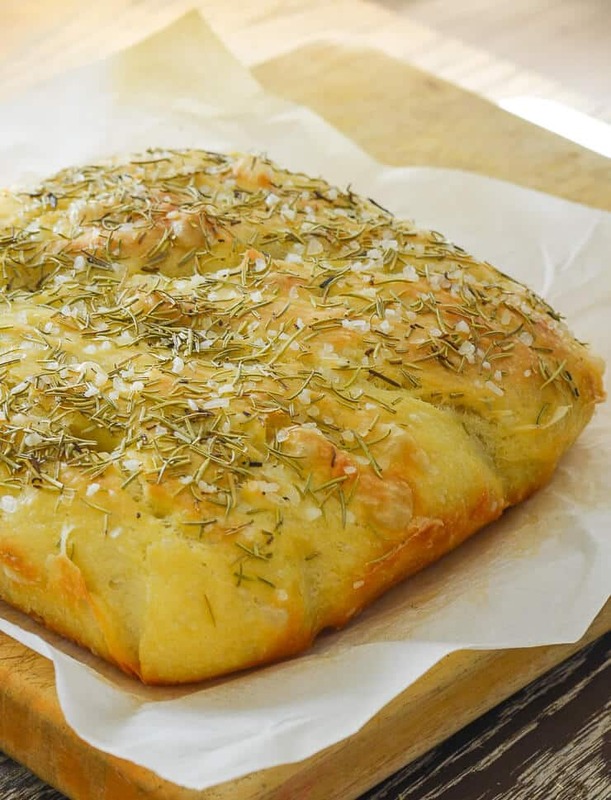 It’s perfect with the No Knead Focaccia above and would make a lovely appetizer. 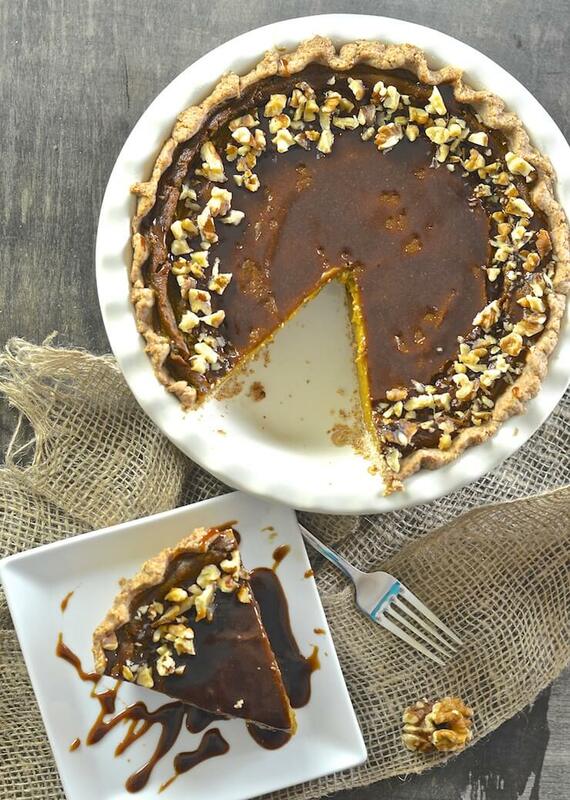 No Thanksgiving would be complete without Pumpkin Pie and this one is even more special because it is paired with the most delicious caramel sauce! And this is what you drink when you suddenly realize that all you have eaten for days is vegan meatloaf, roast potatoes, gravy and pumpkin pie. It’s fresh, simple to make and super healthy. Plus it uses up the random cranberries you have left! 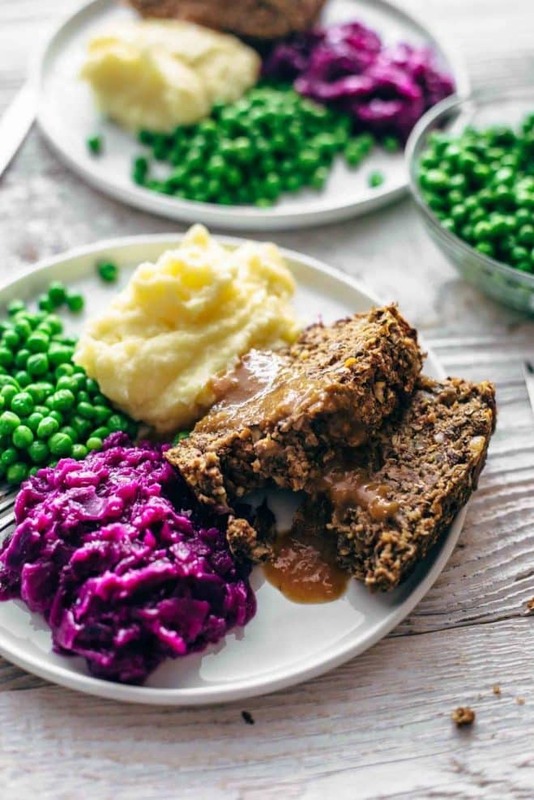 For more amazing vegan Thanksgiving recipes check out my latest post for Parade Magazine’s Community Table 17 of the Best Vegan Thanksgiving Main Dish Recipes. Hi, I’m excited to try some of these recipes. The little mushroom pies look delicious –well, everything does. My husband and I have been vegan for almost 10 years. All these look amazing! 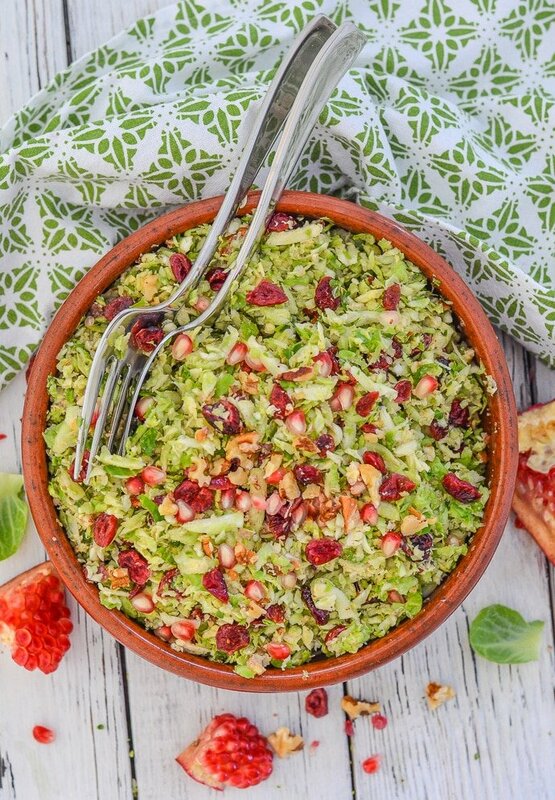 This will be our first #WFPB Thanksgiving — I’m ready now! Yummy! The mac and cheese sounds delicious! And I have to try this tasty loaf . Thank you!